We’re heading home! East! 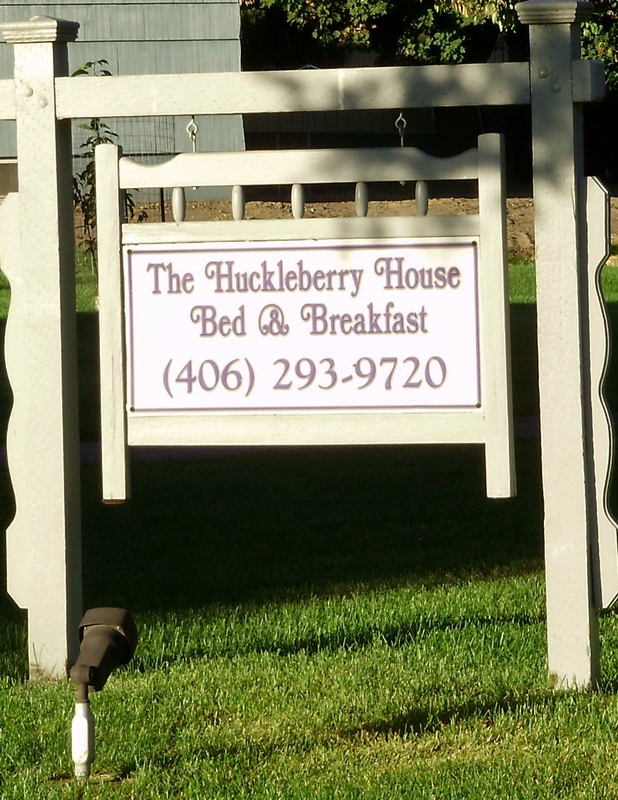 If you are ever in Libby, Montana and are in need of a get-away or are just sleepy…I highly recommend The Huckleberry House B & B! Jerry was hiding behind this newspaper! It’s been so long since we’ve seen or read the news. It felt good to just sit and relax with a newspaper! 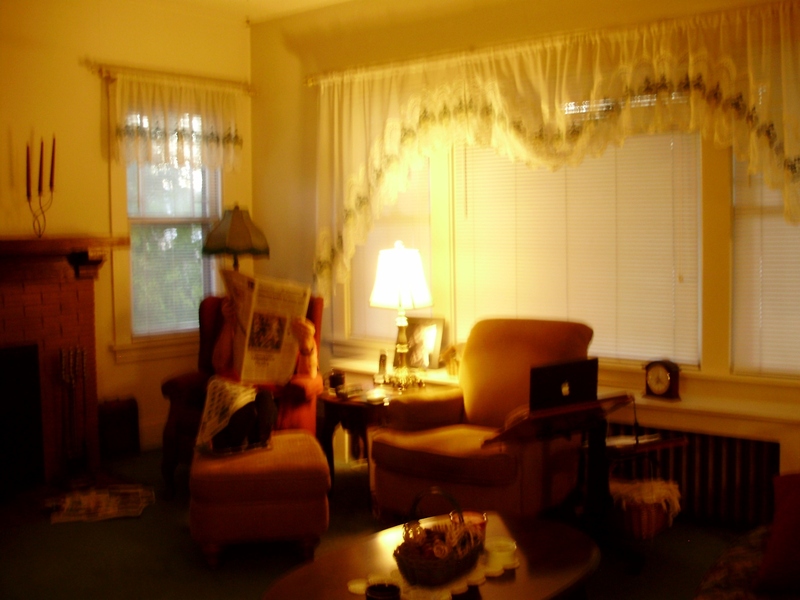 Every room was beautifully furnished and decorated. 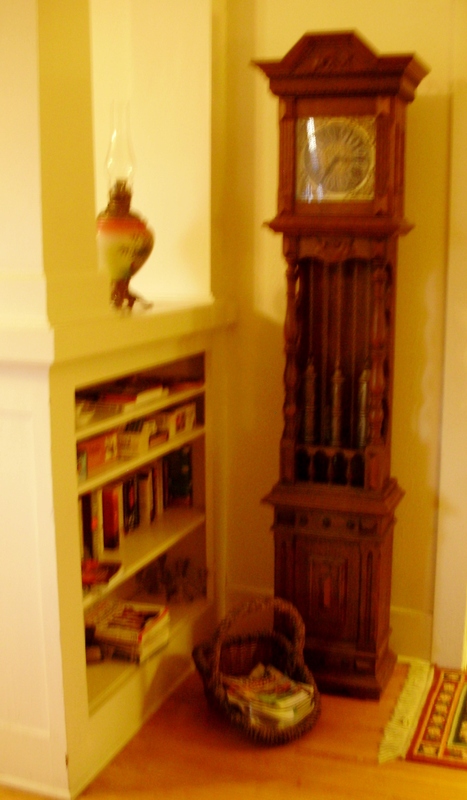 This Grandfather clock from Germany caught our attention. 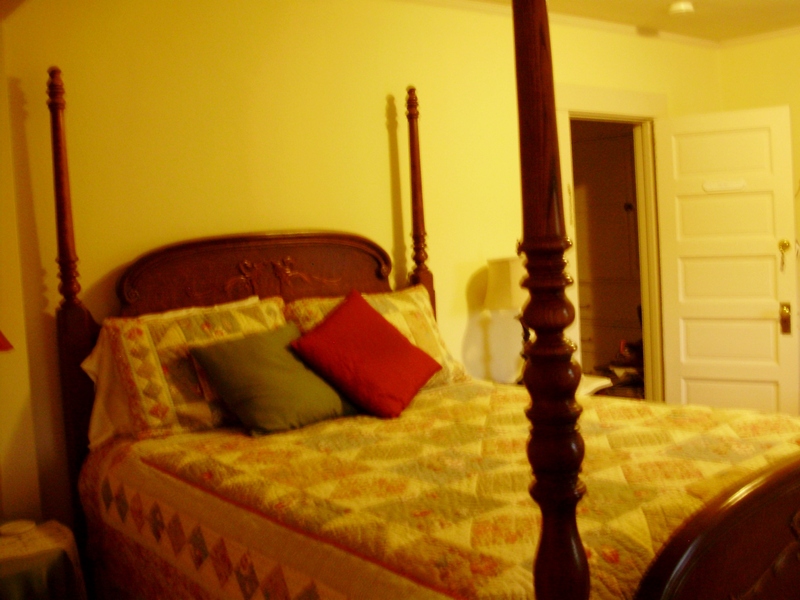 There were three bedrooms upstairs, each with its own private bathroom and one bedroom downstairs. Pam and Gene slept in the Libby Room. We were in the Wild Rose Room. 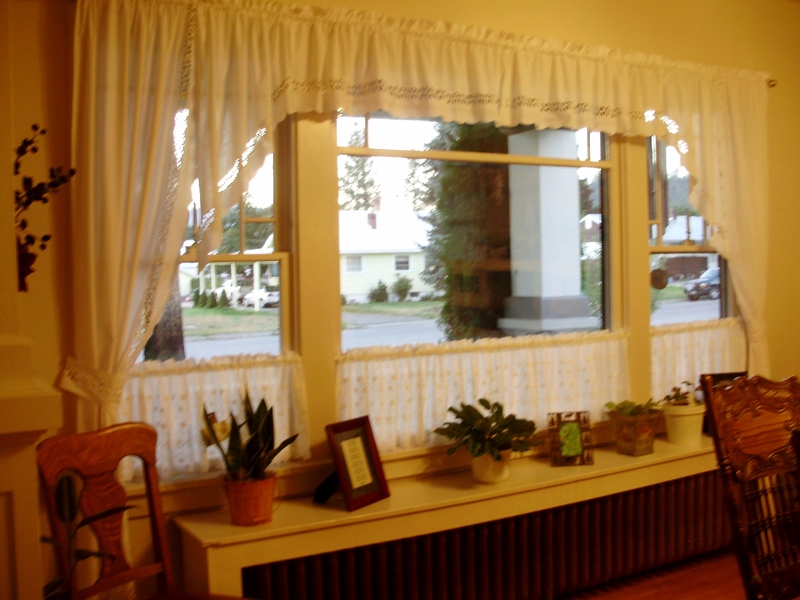 The third bedroom upstairs was the Montana Room. 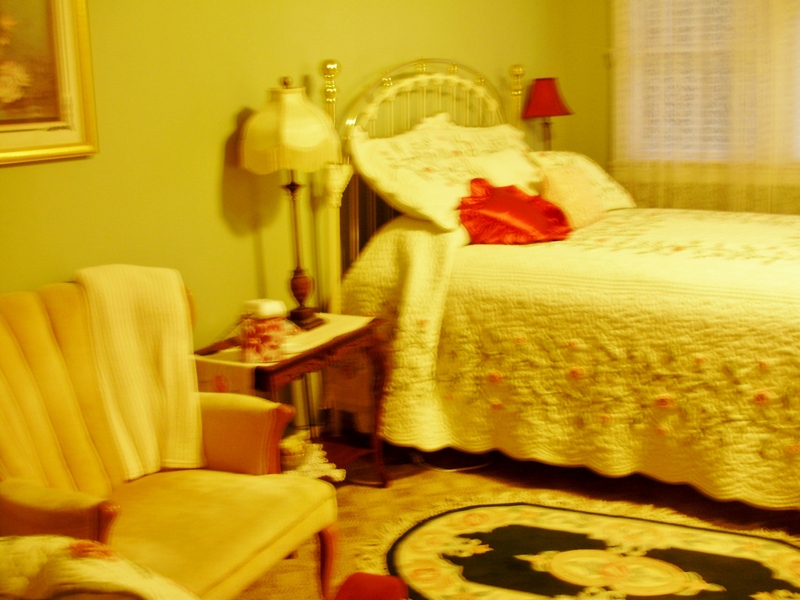 Each room was so delightful, comfortable and restful! 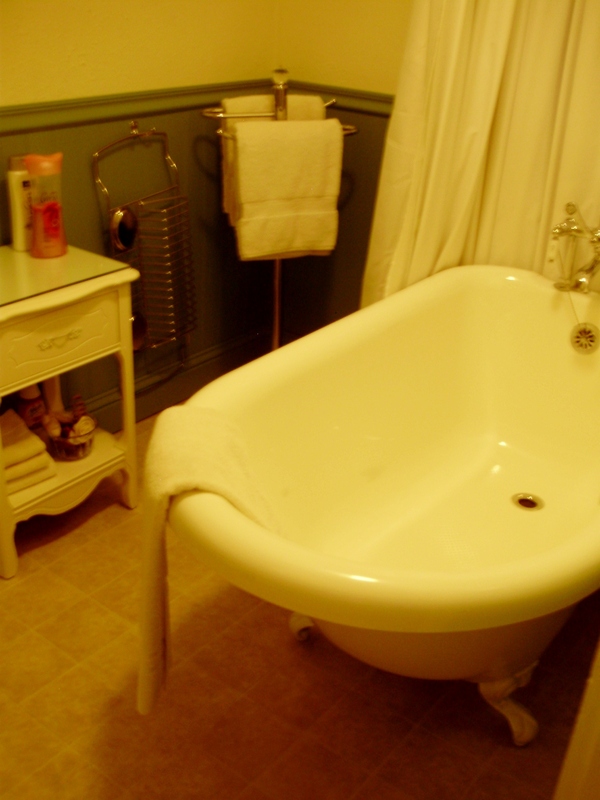 The bathroom for the Montana room had a claw-foot bathtub. delicious breakfast! 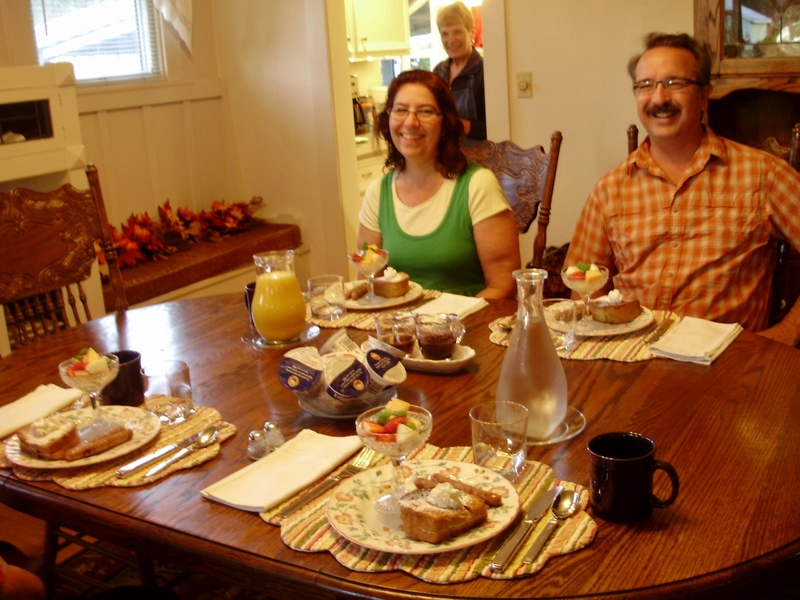 Orange juice, COFFEE, fresh fruit, sausage and Huckleberry stuffed French toast! Hmmmm, Hmmmm! It was delightful and delicious! 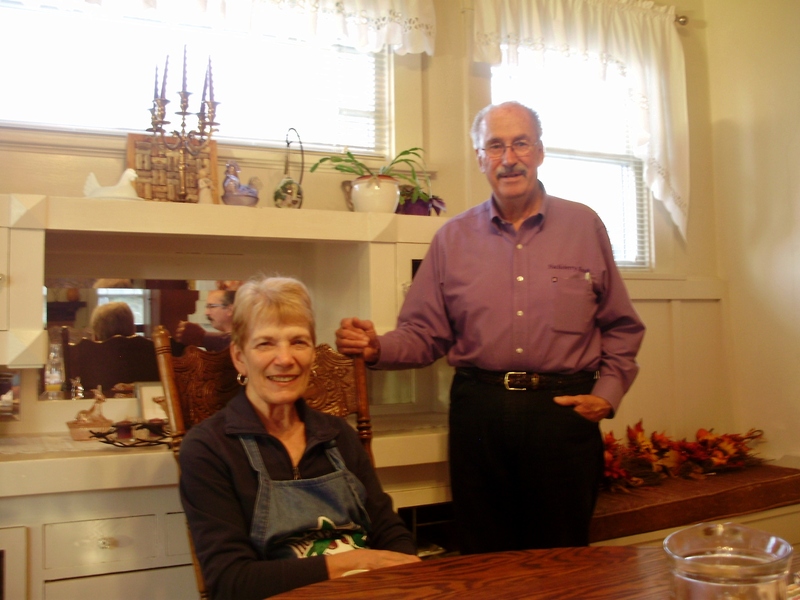 Johnston, a most delightful couple! 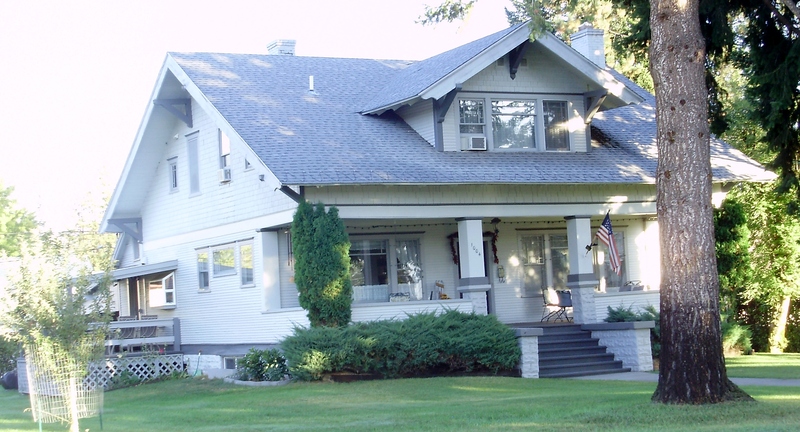 This entry was posted in Archers, Bazans, Bed & Breakfast, Montana, USA and tagged Archers, Bazans, Bed & Breakfast, Memories, Montana, Travel, USA. Bookmark the permalink. It was very lovely! Thanks!